Full apartment suite for hotel price, close to everything, walking distance to most. Where to find Mallorytown hotels near an airport? Where can I find hotels in Mallorytown that are near tourist attractions? Travelers to Kingston can choose from 5 places to stay within a 20-30 minute drive of Mallorytown, but there are none within Mallorytown itself. 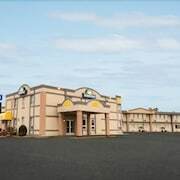 The Holiday Inn Express Hotel & Suites Brockville, Ontario, which is the nearest hotel, is 25 kilometres (14 miles) from downtown Mallorytown. Another convenient alternative is the Holiday Inn Express Hotel & Suites Gananoque, in Ontario, which is 25 kilometres (14 miles) from the center of Mallorytown. 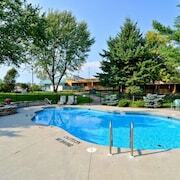 You could check out the Country Squire Resort and also the Quality Inn & Suites 1000 Islands. The Country Squire Resort is located 25 kilometres (14 miles) away from downtown Mallorytown. 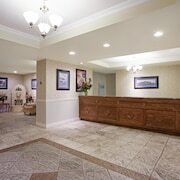 The Quality Inn & Suites 1000 Islands, is situated 25 kilometres (15 miles) away. Some more alternatives worth checking out around Mallorytown include the Travelodge Gananoque and the Comfort Inn Brockville. Once you have got a feel for Mallorytown, why not travel a little further afield? The Ottawa - Southeastern Ontario district has a number of attractions waiting to be explored. View Ottawa - Southeastern Ontario's forests, rivers and streams. In addition, you should head to the area's old towns. In this section of Canada tourists can also try their hand at cross-country skiing, snow shoeing and snowmobiling. Gananoque is 25 kilometres (15 miles) to the southwest of Mallorytown and is home to the Gananoque Boat Line and Springer Theatre. Gananoque hotel options are the Ramada Gananoque Provincial Inn and Comfort Inn & Suites Thousand Islands Harbour District. 85 kilometres (54 miles) to the west of Mallorytown, you'll find Napanee, home to the Hampton Inn By Hilton Napanee and Royal Napanee Inn. 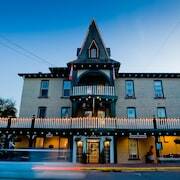 Whether you're just passing through or staying in Napanee, set aside some time to visit the Allan Macpherson House and Park and Palace Village. Just because you are on vacation, doesn't mean you can't indulge in your love of all things sport. Canadian Tire Centre is situated 95 kilometres (59 miles) to the north of Mallorytown. Stay nearby to the action at the Holiday Inn Hotel & Suites Ottawa Kanata or the Fairfield Inn & Suites by Marriott Ottawa Kanata. Looking for the most logical airport for your trip to Mallorytown? Ogdensburg International Airport is 40 kilometres (26 miles) drive away. 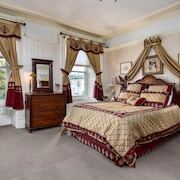 What are the most popular Mallorytown hotels? Are there hotels in other cities near Mallorytown? What other types of accommodations are available in Mallorytown? Explore Mallorytown with Expedia.ca’s Travel Guides to find the best flights, cars, holiday packages and more!